The Surface Science Program at the Princeton Plasma Physics Laboratory (PPPL) was established to investigate the surface processes and chemical reactions that occur at the plasma-surface interface in fusion devices using atomic-level diagnostics including electron and ion spectroscopies, electron diffraction, and scanning probe microscopy. 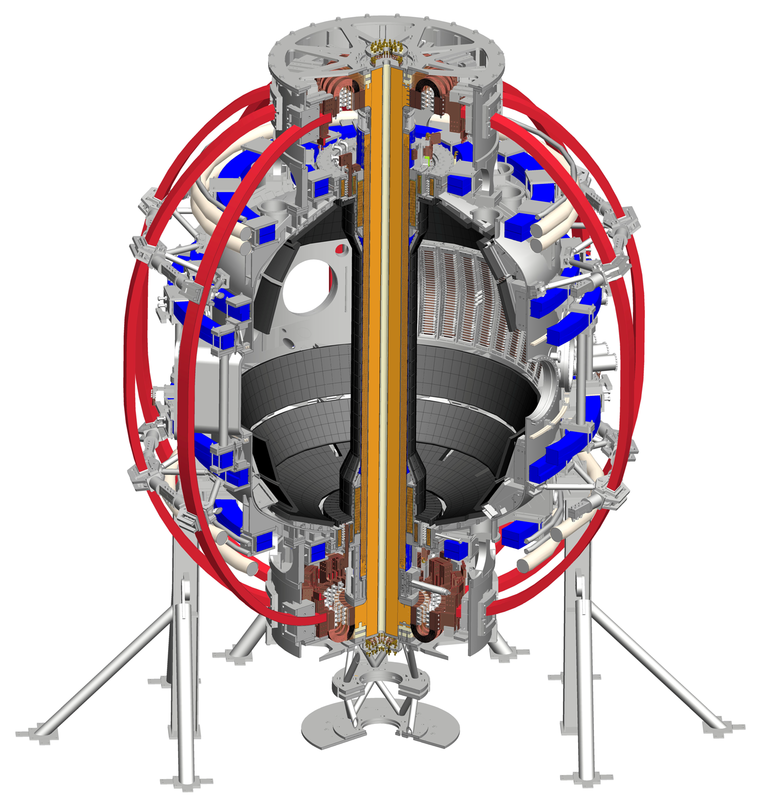 The aim of the program is to support the National Spherical Torus Experiment Upgrade (NSTX-U) in their mission to understand and develop novel solutions to the plasma-material interface challenge. The environment in a fusion device will be simulated in a controlled way by exposing the surface to molecules, atoms, ions, and reactive species found in plasmas. The overall goal is a comprehensive characterization of the surface processes that occur for plasma-facing materials and to understand how the surface changes in response to the fusion environment. In magnetic confinement devices the edge plasma and surrounding material surfaces provide a buffer zone between the "astrophysical" high-temperature conditions in the plasma core and the normal "terrestrial" environment. The interaction between the edge plasma and the surrounding surfaces profoundly influences the conditions in the core plasma and challenges current material technology. Surface science has undergone a revolution in recent decades with powerful new capabilities to probe surfaces in atomistic detail. We aim to apply these advances to deepen the understanding of the plasma-surface interface and provide a scientific basis for the development and optimization of novel plasma-facing components (PFCs) and wall conditioning techniques based on liquid metals for fusion devices such as the National Spherical Torus Experiment Upgrade (NSTX-U) and a future Fusion Nuclear Science Facility (FNSF). Our capabilities include surface compositional analysis, measurements of elementary scattering probabilities and reaction rates on metallic, graphite, and ceramic substrates, film thickness measurements, compositional depth-profiling, imaging and elemental mapping. The specific instrumentation available includes X-ray photoelectron spectroscopy (XPS), Auger electron spectroscopy (AES), UV photoelectron spectroscopy (UPS), vibrational spectroscopy using high-resolution electron energy loss spectroscopy (HREELS), low-energy ion scattering (LEIS), low-energy electron diffraction (LEED), scanning electron microscopy (SEM), scanning Auger microscopy (SAM), and temperature-programmed desorption (TPD). In addition, the surface may be exposed under controlled conditions to molecules, atoms, ions, and reactive species found in plasmas. Please visit our Facilities page for further information. Fusion energy offers the promise of meeting the long-term energy needs of humanity without the hazards of fossil fuels or nuclear proliferation. Fusion devices contain a plasma comprised of a mixture of hydrogen and its isotopes: deuterium and tritium. The fusion reaction is sustained under intense temperature and pressure, which is achieved by either magnetic or inertial confinement. 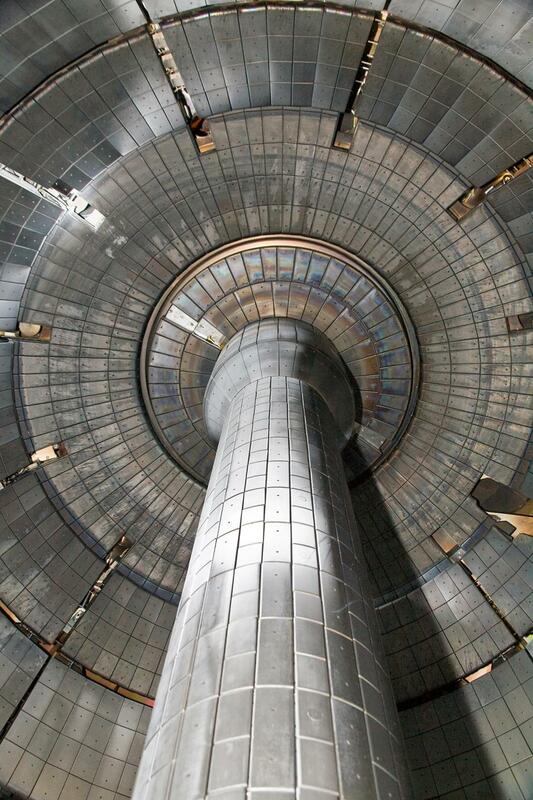 Common to all confinement devices is the issue of the performance of plasma-facing components (PFCs), which are the materials exposed to the plasma that comprise the reactor vessel walls. The PFCs are exposed to a harsh environment in which they are subject to high heat loads, neutron damage, chemical erosion, evaporation, and physical sputtering via bombardment by ions and high-energy neutrals. 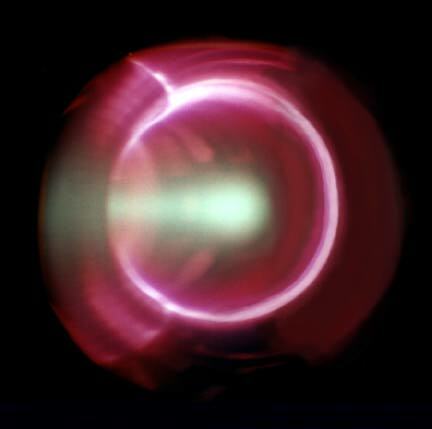 Particles eroded from the wall re-enter the plasma at low temperatures, causing a reduction in fusion power and adversely affecting plasma temperature and stability. Candidates for PFC materials include graphite, beryllium, tungsten, molybdenum, and liquid metals. Liquid metal PFCs enable in-situ renewal of the surface, thereby offering a solution to the neutron damage, erosion, and thermal fatigue experienced by solid walls. Lithium in particular has a high chemical affinity for hydrogen, which has resulted in reduced recycling and enhanced plasma performance on many fusion devices including the Tokamak Fusion Test Reactor (TFTR) and the National Spherical Torus Experiment (NSTX).